So I found myself at the ice rink again the other day. But not for a hockey game; it was for practice. But it wasn’t the regular weekly practice. The Apple of my Eye usually takes the boy to those. No, this was a special, one-on-one skating session that my husband set up for our son. Our baseball-playing son started playing hockey this past summer, and while he’s pretty good, he’s new at it, so there’s a lot he has to learn. Tricks and tips and techniques and such. 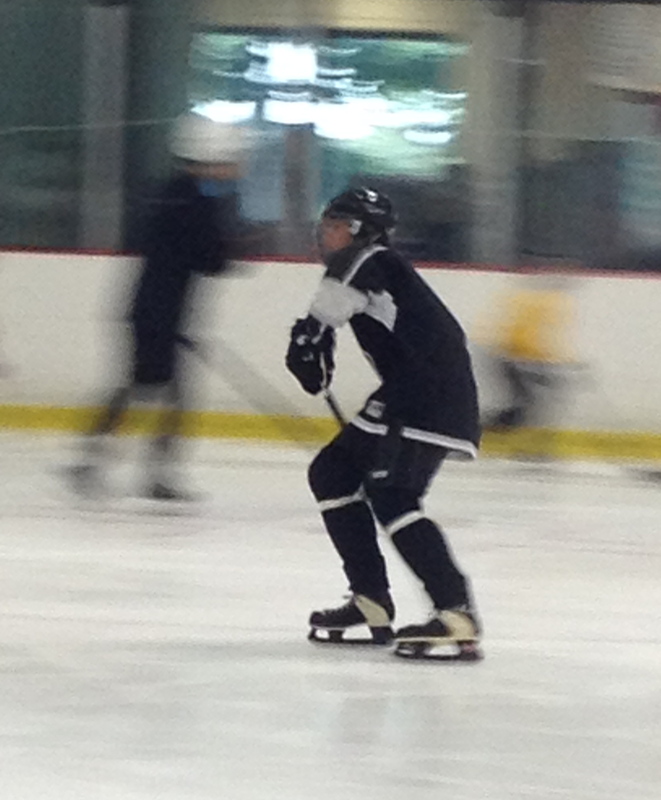 So my sweetie, who’s been playing hockey for about 30 years, talked to a friend who agreed to sort of tutor our son. Give him a leg up, if you will. So that’s why I sat in the not-very-accurately-named warm room at the rink, alternately reading and watching my boy going through a few drills. But it was a bit of a tricky situation. There was a public skating session going on, so a lot of the time they had to kind of stick to one corner of the rink, and occasionally the center, where they could be out of the way of the rest of the skaters. Other times they needed a bigger area, so they had to just mix in with everyone else, doing the best they could to maneuver around and between them. But then, that’s the like of a Christian, isn’t it? You read the Bible, you pray, you ask for the guidance of the Holy Spirit, and then you try to practice what you’ve been learning. And all around you are people going every which-a-way, spiritually speaking. Some, of course, don’t care a whit about living in obedience to God. But even those that are walking with the Spirit are often walking at a different pace than you are. Or God’s got them focusing on some aspect of their character that’s not your battle right now. Either way, it can be hard to stay focused.